President and Chief Executive Officer of Elucida Oncology, Inc.
Family Office Insights sits down with Edward Rosen, President and CEO of Elucida Oncology, Inc., to discuss its first-in-class ultra-small particle platform for targeted diagnosis and treatment of cancer, specifically detecting cancer in real-time to enhance efficacy and all but eliminate off-target toxicity in the process. Tell us about your background and your company, Elucida Oncology, Inc.
I’ve always wanted to be an entrepreneur for as long as I could remember. I began my career as an intern at Smith & Nephew, a UK-based multinational medical equipment manufacturing company, as a senior at the University of Lincoln. At Smith & Nephew, I just happened to see physical therapists from the premier soccer leagues showing the products they use on their players, and three of them were from Smith & Nephew. I approached my manager to see if I could work with those physical therapists to form a product line that better fit their needs. I ended up putting together a business plan and presented it back to Smith & Nephew where they established a business around it and built a sales team behind it. Although my internship position didn’t include stepping out and creating a product line, I believe that as long as you do what you have to get done and do the things you said you were going to do, you can still pursue other things that interest you too. You need to have fun and bring a fresh pair of eyes to everything. The worst case would have been that the company didn’t move forward with my idea and I would have still had a great learning experience. After that internship, Smith & Nephew asked me to come back and work for them upon graduation. In 1996, Smith & Nephew acquired a family-owned, medical manufacturing start-up in North Carolina. I was asked by our chairman to go to Charlotte, North Carolina to help integrate the new company into Smith & Nephew. At age 24, I found myself running a business. I loved the spirit of what was going on there. At the end of the month, the difference between meeting a quota and getting shipments out was our manpower. It didn’t matter what your job title was, we all went down to the warehouse and packed boxes to put on the trucks so that we met our numbers. One of my pet peeves is when people think a given situation in the world is binary. It’s never binary. There’s always another option. I received my green card and was recruited by Johnson & Johnson’s company, Cordis Endovascular in 2002. I went in as Product Director and within 18 months became Director of Marketing in stents, vena cava filters and PTA balloons in the interventional radiology, cardiology, and vascular surgery markets. I enjoyed going out into the field with sales representatives to talk to physicians about the facts and studies done with our products. I brought the fun spirit and energy to stale products. We launched a fantastic product that went from zero to number one in market share at a premium price in 18 months. I made a strategic career decision to move on and that proved to be serendipitous. I cultivated a good relationship with a cardiologist who led the Health Economics and Reimbursement group. He created a position for me to lead health economics and reimbursement strategy and to make sure that our commercial development teams would stop making products that no one was going to pay for. I had to think more scientifically in this role to engage successfully with CMS and other payers. Though I had a great experience in health economics, I wanted to go back to commercial to leverage these skills. I went into an asthma management start up when I was contacted to provide feedback on a business plan for C-Dots, a first-in-class particle technology that successfully targets cancer cells safely leaves the body through the renal system. C-dots are currently in clinical trials enabling surgeons to see cancer, in real-time during surgery and in advanced preclinical to bring enhanced safety and efficacy through novel therapeutic delivery capabilities. I thought if their platform could do what they claim it could do, it would be poised to be a genuine game-changes in the diagnosis and treatment of cancer. I decided that I wanted to build something out of it with the co-inventors and offered my participation. In 2014, I entered into a consultancy agreement with them, to fulfill the role of President and Chief Executive Officer of what is now Elucida Oncology, Inc. Elucida is a clinical development stage company based on proprietary ultra-small C-Dot technology to find, see and treat an array of primary solid tumor and metastatic cancers. Developed and clinically translated by Memorial Sloan Kettering Cancer Center and Cornell University, C-Dots have published human safety and tumor-specific clinical data. Michelle Bradbury, M.D., Ph.D. and Ulrich Wiesner, Ph.D. are the co-founders and co-inventors of Elucida. They came to me with remarkable scientific development, but it wasn’t in a form that was investable, so we started building our value proposition strategy and commercial framework to grow this business. I ran the business on $100K of external capital for the first 2 years, without taking a salary or making myself an employee to focus on rapidly getting the product to market. To date, we have closed on the first $15MM of our Series A private placement round. In parallel, remarkable scientific and clinical developed continued at great pace that over $20M in non-dilutive grants was awarded to our co-inventors. Today, with a strong start to our Series A round, we are financially equipped to achieve our very clear milestones. What are some of the challenges you face in this industry? The biggest challenge is the human body. We’re all different and all of our bodies react differently. All clinical trials have an inherent risk, which is a challenge across the industry. The challenges we face are not hurdles to overcome, but a baseline element that any biotech should be ready to address. Historically, nanoparticles have not done well—they have been too large for renal clearance, some with inherent toxicity, aggregate in the liver. We had to overcome a perception based on unrelated older technology. When surgeons see that our product enables them to see cancer through up to 20mm of tissue, often even prior to the incision, they know that they finally have a solution to address their needs. How are you different from your key competitors? Who are your competitors? We have preclinical and clinical data demonstrating that our product can safely clear through the renal system, unlike any other particle or relevant drug. Even though FDA only mandates 100x, we ran toxicity studies at 2,500 times the human dose on a per mass basis without any observed toxicity. We are the first and only product that can effectively Target or Clear™. We don’t view big pharmaceutical companies as competitors. We see them as excellent potential co-development and licensing partners. We have the potential to enable their existing drugs to achieve improved efficacy while all-but eliminating dose-limiting toxicity. There’s no silver bullet in cancer. We change the landscape by giving entirely new capabilities to the people and products being used to treat cancer, embracing the concept of precision medicine and combination therapy. We want to move the needle in a significant way. We are seeking a total of $30M. We closed our initial $10M raise in August of this year, which was made up of 94 investors, and we just closed an aggregate of $15M this month (September) from 15 investors. We are now looking to raise the remaining $15M. We want investors who want to see a difference being made in the oncology field and understand that there are strong returns here. We have attracted really great investors thus far, so it would be terrific if we can have another 5-10 investors make up the remaining $15M, but we don’t necessarily see the downside to having more than that. We believe that the more efficiently we can raise, the easier it is for everyone involved. Our mission is to leverage the game changing properties of our platform to change as many lives as we can, as quickly as we can. In the immediate future, I want to round out my management team while creating the basis for a comprehensive in-house development capability. We are gearing up to move into Phase 2 of surgical imaging clinical trials by the end of the year. We are also completing therapeutic pre-clinical trials to initiate an active business development program. Prior to joining Elucida Oncology, Mr. Edward Rosen was a Worldwide Vice President at Johnson & Johnson (NNYSE:JNJ)). 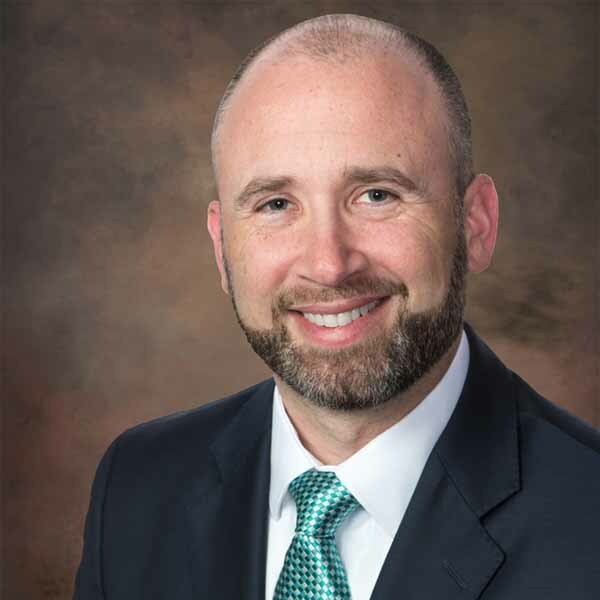 In an 11-year career with JNJ, Mr. Rosen led commercial, health economics & reimbursement and pipeline development & delivery. 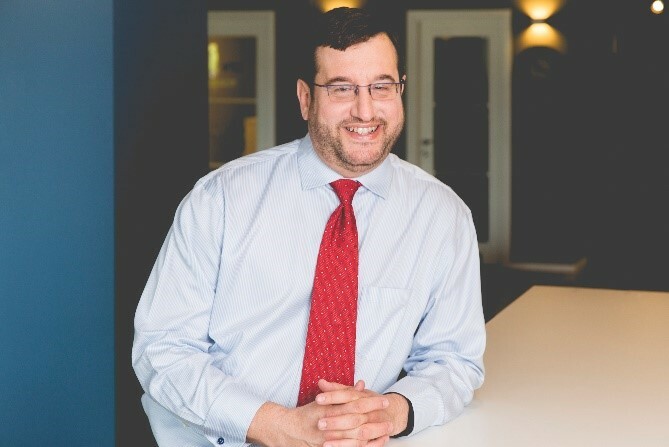 As Global Marketing Leader, Pipeline and Development Leader and Founder and Leader of the Latin American business unit, Mr. Rosen led teams to value inflection milestones across clinical, R&D, operations, regulatory and QA/QC. These roles spanned oncology therapeutic and diagnostic businesses along with cardiovascular and aesthetic surgery. Mr.. Rosen spent his earlier career with Smith & Nephew (NNYSE: SNN, LSE:SN.) in domestic and global roles based out of the United Kingdom and the United States. For more information, please reach out to Edward at erosen@elucidaoncology.com.